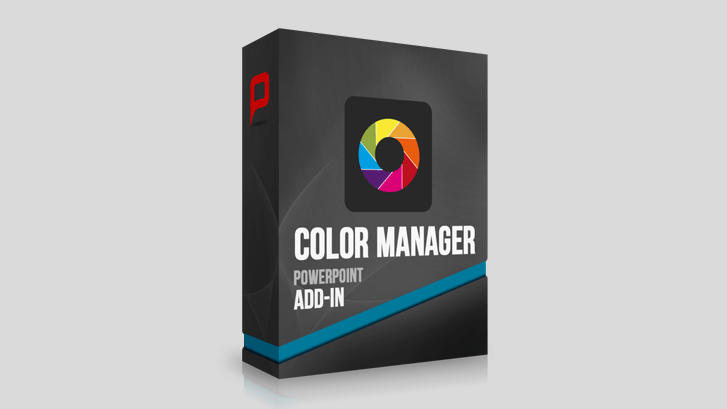 ColourManager is a PowerPoint Add-In to manage different corporate-design colors (extended color-scheme) in PowerPoint presentations. Isn’t it just aggravating if the PowerPoint presentations of your employees appear to contain all colors of the rainbow but never the selected color-scheme of your company? With the "PowerPoint-ColourManager" you set this mess an end and ensure that all your presentations will be created and appear in the right colors. The "PowerPoint-ColorManager" is the inevitable tool to secure your corporate-design settings despite the current PowerPoint template. 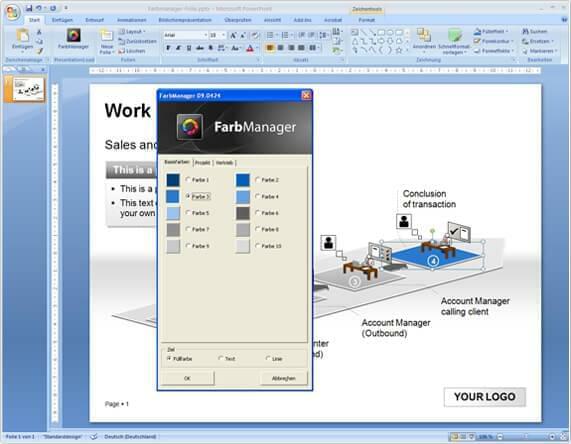 Since PowerPoint 2003 only allows 8 user defined colors in the color-scheme the "ColorManager" offers you easy access to your colors and user-friendly application. You can manage with Color-Manager as many colours as you wish. The "Color-Manager" gives you the possibility to create separate colours in the Admin Tool. So you are able to use the variaty of colours on any working place in your company. Available languages: English, Spanish and German. All other languages on request. * Delays can be caused on weekends or German public holidays. This easy to use tool removes the doubts about the authenticity of the corporate colors. Great.